Downloaded, attempted install, after an hour I started to get curious why it was still not moving past 50 percent installed, so started running a virus scan. 38 pup results found in the first minute of the scan. total scan was all pups, but 78 in total. I handle virus protection in my company so these weren’t already on the system. I was just wondering how you could make the language English? I ticked English during the Installation, and in the config file it’s also set to english. The in-game options doesn’t have “english” in it’s choices. -Extract both folder to Resident Evil HD Remaster\nativePC\sound directory and replace everything. I’m having trouble getting this to play in English as well. It seems this version of the game has “Replaced” the English with Russian. There’s no way to play this version in English because of that. I’ve sourced it back to being created by someone called “xatab”. 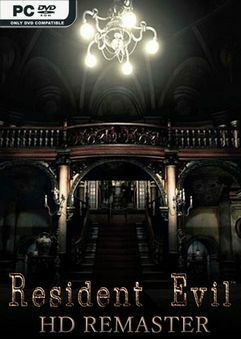 I just downloaded this game from nblog https://nblog.org/pc-games/resident-evil-hd-remaster-usa-pc/. (Skidrow please delete this comment if you don’t want people sharing likes to alternative download sites, I’m just trying to help everyone find an English version) I’ve downloaded this version and it’s in English and seems to be running fine. Have a great day everybody! – YOU CAN CLICK INSTALL THE GAME NOW.